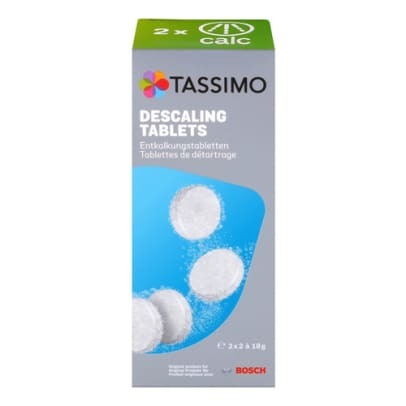 Here you can buy the original descaling for Tassimo by Bosch. The machine begins to drip at the end. 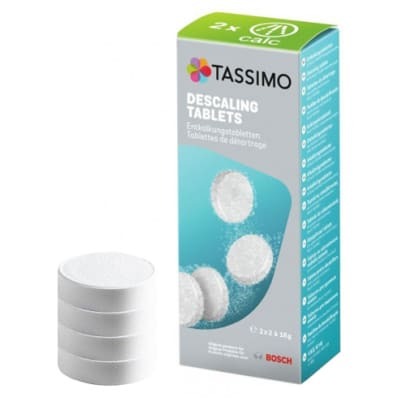 Here you can buy the original descaling for Tassimo by Bosch. If the water is very hard and there will quickly be deposited much calcium in your pod machine.  It is therefore important that you regularly descale your machine. We therefore recommend descaling every month. The machine begins to drip at the outlet. NOTE: The warranty on your machine will lapse if not regularly decalcified. 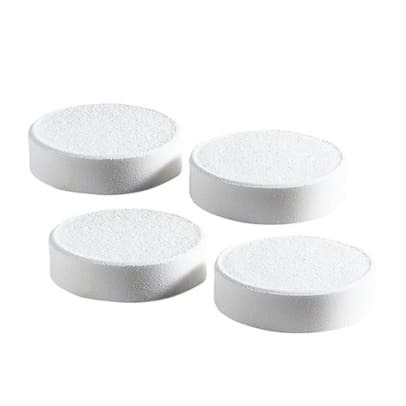 Contains 4 tablets and you need 2 tablets for a descaling.